Proceeds from the sale of this book will benefit the following charities: Alzheimers, Cancer, Mayo/Roscommon Hospice and Croi. John B Keane once said “there is a book in everyman”. Everyone has a story to tell and because each person is unique, the uniqueness of our being makes each one’s story special. The encouragement to tell Ginger’s story began a few years ago, when a person said to him “You’ve lived an unusual, exciting and varied life. You have seen many changes in your lifetime. You should write a book about them; it will be the story of your life”. Yes, indeed, as the sage said, ‘Times, they are a-changing!’ One has only to join a group of elderly people and soon you will hear their recurring topic of conversation, ‘Life is totally different today to what it was when we were growing up’. 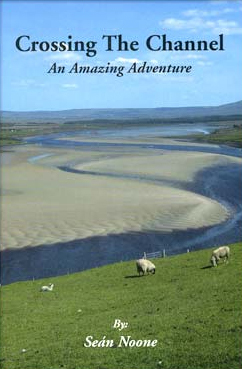 Aware of the many changes in the social, agricultural and other aspects of life over the past seventy-five years, the author felt compelled to document the way of life that the vast majority of Erris people lived, during the latter half of the last century. It is the author’s view of the period, as he saw and lived it. And because it is a time of endearment to him, a time when communities were strong, united, and supportive of each other, when blood relations were acknowledged and valued, when there was little by way of material wealth, but no deficiency in community wealth, he feels impelled to leave a document for the benefit of later generations. It has often been said that, ‘Money is divisive’. Money can drive families and communities apart. While money is necessary for our everyday needs and comfort, we must never let it become our God, replacing the traditional family and community values handed down to us by our forbearers. Father Seán Noone is a native of Knocknalower, Parish of Kilcommon. He studied at Pullathomas National School. Afterwards he worked on his home farm, in Peatland Experimental Station, Glenamoy, and in England. In 1962, he began a course of studies for the priestood whch took him to Campion House College, London; Franciscan College, Colchester, Essex; and St. Augustine's College, Canterbury. In 1971, he was ordained in the priesthood in Manchester, after which he worked in Italy and Northampton. In 1977, he returned to Ireland to work in the Dublin Diocese. He is at present ministering in his home parish at Pullathomas.